As you can see the B and E has no #. 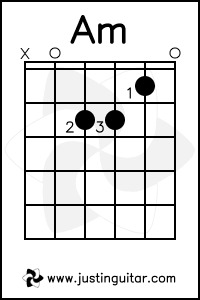 Excluding the # we have 8 notes A,B,C,D,E,F,G,A. Starting from one root note to another is called an otaves. So A to A is one octave. After you can play the C and Am chord perfectly you can try this 2 new chord E and A.
E or E major chord is another very popular chord used in many songs.First put your 1st finger on the 1st fret of G string then put your 2nd finger on the 2nd fret of A string then put your 3rd finger on the 2nd fret of D string then we get the deep E major chord. A or A major is the major version of the A chord.We have learned the minor version in our last lesson.Put your 2nd finger on the 2nd fret of D string 3rd finger on the 2nd fret of G string and 4rth finger on the B string.Or you can use 1st 2nd and 3rd fingers instead of 2nd 3rd and 1st finger. A pick or a plectrum is a thin flat piece of plastic, tortoiseshell, or other slightly flexible material held by or worn on the fingers and used to pluck the strings of a musical instrument such as a guitar. 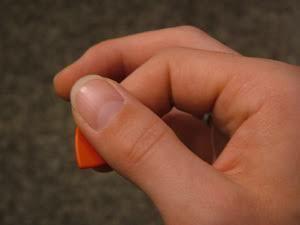 You need go make a ok sign and hold the pick between your index finger and thumb. 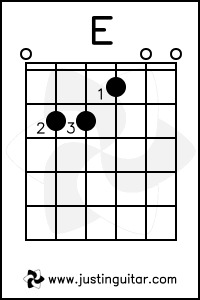 The 2nd easy chord is Am Chord. 1st finger at 1st fret B string 2nd finger at 2nd fret of D string and 3rd finger at 2nd fret of G string creats thr minor sounding A minor. The first exercise is called spider finger. This exercise will help you build your finger muscle and stretch your fingers. Many Youtube videos shows the first exercise of playing a C or a Em chord but this will help you to be more developed guitarist faster. Click here to get to a video that will show you the spiderfinger exercise. Practice this exercise for a whole week. First you will face some problems but after a week you will get better. 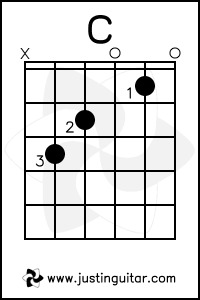 This is the most booring and painful exercise to learn the guitar but if you can master it you will be a great guitarist. You can try various other combination of the exercise. 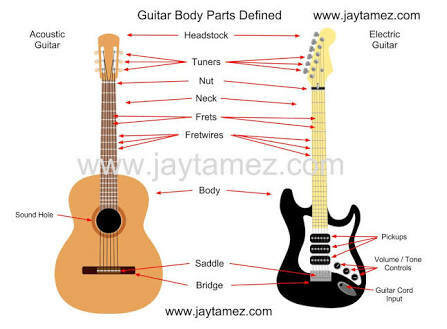 A guitar is like a human body. It has a head a neck and a body. A headstock has 6 tunning pegs which helps the guitar to tune. The neck joins the the body and the head of the guitar. 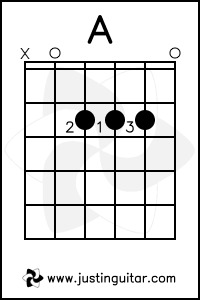 It has 22-24 frets which increases or decreases the tonality of the guitar. The neck is also known as the fretboard. The body is where the sound is created the string vibrates through the soundhole and creates the sound in an acoustic guitar. In an electric guitar the sound is amplied through an amp. Bridge is the wooden plate which hold the string with the head neck and body. A Nylon String Guitar also known as Classical Guitars are very good for beginners. Due to much space on the fretboard it is very comfortable for your fingers. Steel String Guitar or Acoustic Guitar is a common guitar that every beginner start. I started with an acoustic guitar and still play an acoustic guitar to this day. Electric Guitar is a type of guitar which amplifies sound through an amp. It has no soundhole so sound is made through the pickups and then amplified through an amp. It does not matter weather you buy a cheap or expensive as long as the the guitar has no neck problems you are good to go. Hi I am Linkon from Sixstrings.com. I have been playing guitar for 2 years and I want to help you learn guitar. I know i am not a very pro guitarist but I have learned so much in this 2 years that now I can play with guitarist who played for 10-12 years. All thanks to the way i learned the guitar. The way I learned the guitar helped me to stretch my fingers more.